What is agricultural innovation for Brazilians? Following a rural exodus lasting decades that resulted in 80% of the Brazilian population becoming concentrated in cities, farming innovation has captured the imagination of young people, whether in major firms in the sector or in start-ups. In 2018, the average age of Brazilian farmers was down by 3.1% in relation to 2014 (46.5 years of age). In addition, 21% of farmers have received higher education, whether in agronomy, veterinary studies or business administration. One of the iconic examples of this development is the Brazilian drone industry, from which farming generates half of its revenue. Currently, drones are used for several activities on the farm, such as spraying, field mapping or even livestock counting. The forestry sector also uses them to calculate the success rate of planting and to forecast future harvest volumes. Furthermore, the government of the state of Rio de Janeiro has carried out the first tests to use them in 2019 to monitor illegal logging in zones controlled by organised crime. They will also be an ally of the state in the fight against deforestation in the Amazon region. Pelicano, by SkyDones. Source: Company website. One of the most modern drones available in the company has six nozzles producing 180 µm droplets with a dispersion rate of 1 litre per minute, covering 5 m in a single pass from a height of 3 metres. Another firm has connected the drone to a program which receives information collected in loco and incorporates the standards governing the use of pesticides in the region, thus recommending the best possible treatment options to the farmer. This is a noteworthy development in a country where consumers advocate the sustainable use of pesticides and where legislation is complex in its application. This drone industry is preparing to exist alongside that of traditional sprayers and planes. They will be an alternative for the treatment of steep-gradient zones, areas around electric cables or large trees which prevent overflight, or on ground which is too moist. Finally, these drones will also replace farmworkers exposed to chemical crop protection products, another key concern for Brazilian consumers. Large companies have also jumped upon the bandwagon, such as New Holland. In April 2018, at the latest Agrishow, the leading Brazilian agricultural machinery exhibition, the group announced that it was incorporating its machines onto a drone which transfers data relating to land profile, the presence of disease and crop condition before work is carried out. This will help to generate 75% savings in operational uptime, explains Marcos Milan, the firm’s marketing manager. Aegro program. Source: Company website. But drones are not the only example of agricultural innovation in Brazil. The new generation has also decided to replace Excel files by management and decision aid software. One of the most-used programs, published by the start-up Aegro, today covers 800,000 ha and manages both teams and stocks. To adapt to the lack of network coverage in rural environments, off-line solutions are essential. The new generation also tries to deliver a new deal in how farming products are sold. To do so, several retail platforms help to reduce the isolation of producers in a country on the scale of Brazil. The geographical distance between producers and industries has indeed created a disadvantageous dependence on distributors, which offer a restrictive range of solutions. Some platforms such as InstaAgro are no more than online shops. They seek to redress the imbalance of information between the industry and the farmer, a particularly acute problem in Brazil since public technical assistance is often substituted by the advice of companies’ sales representatives, who can hardly be described as impartial. One of the platforms, Isagro, set up by a network of agronomists, additionally acts as a product certification body and also offers themed chatrooms for exchange between producers. While many initiatives have already emerged in innovation in Brazil, this does not mean that there is nothing more to come! One of the most difficult subjects to work on is collaborative farming, and more specifically equipment sharing. This practice has become widespread in France and is starting to become better known in Brazil thanks to the hard work of some start-ups. Their challenge is to adapt the solution to a country the size of a continent, which often produces two harvests per year and, more importantly, where sharing property is not in the collective culture. Other solutions are also being developed by this start-up movement, which is a recent arrival in Brazil. 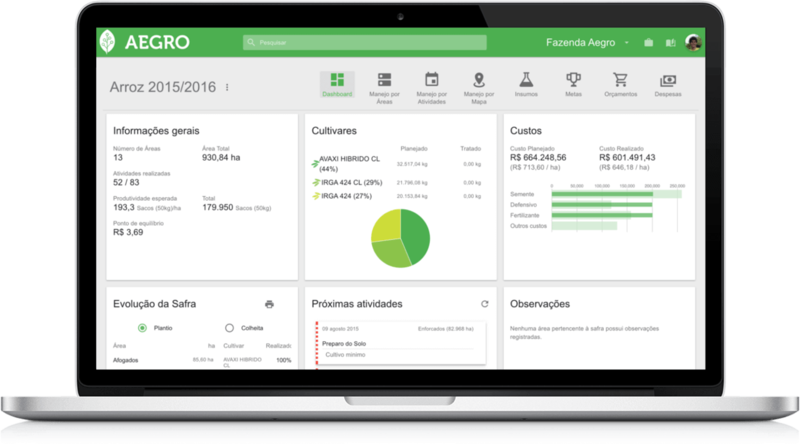 The Luiz de Queiroz Agronomy Academy (ESALQ) in São Paulo published the 2nd census of AgTech start-ups in April, in which 184 start-ups took part, representing an increase of more than 150% on 2016. According to Mateus Mondin, a lecturer in genetics at ESALQ who was behind the survey, Brazil is experiencing a boom period for agricultural start-ups. He believes that once a conducive environment has been created, as is the case with the AgTech Valley in Piracicaba which revolves around the ESALQ, it is natural that several start-ups will see the day. He however notes that their ideas are not always outstandingly innovative! Mr. Paulo Herrmann, president of John Deere Brasil, offers an even more critical analysis of innovation in Brazil. At the 3rd National Conference of Women in Agriculture last October, he deplored the fact that Brazil remains a consumer of technology which already exists, and contents itself with following the trends. In his view, the country needs to create more innovative technology, particularly since it is not always possible to absorb foreign technology, if only due to the lack of connectivity in the rural environment. This aspect has compelled the manufacturer to offer, starting in 2019, a 4G service offer to buyers of John Deere machines. This is a key example of how large firms can work to help to overcome barriers to innovation in Brazil. The company has also launched the largest seed drill available in the country, capable of seeding 500 ha of soybean, cotton or maize per day. The major new feature is that it can be connected to any computer on the farm, from which it can be controlled instantaneously. In the threefold category of equipment connection, data collection and data analysis, the firm Solinftec today appears to be market leader. Founded in 2007 to optimise sugarcane harvesting by synchronising the industry’s shredding capacity with harvesting operations, the company today covers 8 million hectares. Its solution delivers a 10 to 20% increase in harvest efficiency and shortens truck queues at the factory. Ten years later, the start-up operates in six countries. It is only logical that the world’s leading sugar producer should be at the cutting edge of innovation in the sector and that it is capable of exporting its solutions. 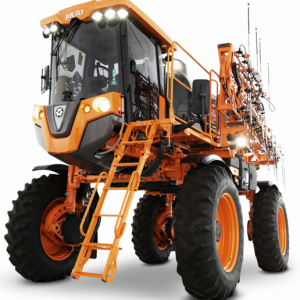 The only sprayer specific to sugarcane was designed by the Brazilian firm Jacto. With a 3,000-l tank and 24 m spraying booms, its suspension is high enough to be able to treat even fields at the end of the growth cycle, where crop height can exceed 2 ½ m. This is an example of how Brazil has focused its innovation on certain areas. Generally speaking, technological innovation remains a recent trend in Brazil, where efforts has previously focused on genetics, inputs or crop practices. Several major French firms have already become established here, so as not to miss out on the new Brazilian farming revolution, and there is plenty of space for more. With regard to new developments, Brazilian farmers are extremely curious and interested in discovering what foreign firms have to offer and Business France is launching a special scheme in 2019 to open the gates of the market to you! Find out more at SIMA! Business France will be in attendance at Sima with a delegation of Brazilians wishing to find out what France has to offer them. French companies interested in talking about Brazil can contact [email protected].